I am honored to follow in the footsteps of Kurt Wüthrich and Gerhard Wagner as Editor-in-Chief of the Journal of Biomolecular NMR. I published my first paper in the Journal in volume 2 in 1992 and have been associated with the Journal as a member of the Editorial Board from 2001 to 2004 and as Associate Editor of from 2004 to 2018. I also served as Editor-in-Chief of the companion journal Biomolecular NMR Assignments from 2011 to 2018 (which now is expertly headed by Christina Redfield). 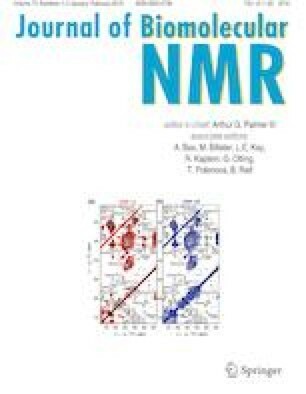 The Journal of Biomolecular NMR has been an important venue for publication throughout my career and I will strive to ensure that it maintains and extends this important role for the biomolecular NMR community. The Journal of Biomolecular NMR was founded in 1991 and spectacularly led for its first 20 years by Kurt Wüthrich. When Kurt decided to retire as Editor-in-Chief, the Journal faced a potential crisis: many organizations falter over the transition from visionary founders to subsequent leaders. Fortunately, Gerhard Wagner accepted the challenge of editorship and over the past 7 years has skillfully guided the Journal through the turbulent waters of contemporary scientific publishing. I am deeply appreciative of Gerhard’s efforts and thank him on behalf of the biomolecular NMR community. As Editor-in-Chief, I will do my utmost to maintain the high quality standards and ensure, together with a great team of Associate Editors, Editorial Advisory Board, reviewers, and all of the Journal’s contributors and readers, a successful future for the Journal of Biomolecular NMR. The Journal will continue to publish regular papers, communications, structure notes, and invited perspectives. The Journal also will continue to publish special issues on current topics in biomolecular NMR spectroscopy. The waters of scientific publishing have not calmed over the past few years, and now published by Springer Nature, the Journal of Biomolecular NMR will continue to steer a course that enables it to serve the scientific needs of its contributors and readers. Of course, any journal is only as strong as the papers it receives and publishes and I look forward to reading (and accepting) outstanding submissions from the community! Biomolecular NMR spectroscopy, writ large, will continue to impact structural biology, particularly in defining the spatial and temporal molecular basis of biological mechanism. I envision that the Journal of Biomolecular NMR will continue to feature as a major publishing outlet for the publication of advancements in our science and invite you to join me as the Journal soon enters its third decade. Finally, I again wish Gerhard the very best in retirement from his Editor-in-Chief responsibilities; we are all hugely indebted to him!